The two main reasons Boland cited for the organic reach decline? First, there’s simply too much content being published on Facebook, making visibility in the News Feed increasingly competitive. Second, Facebook is deliberately trying to show people the content that is most relevant to them, as opposed to surfacing all the content available. The good news in all of this is that there’s a lot you can do to counteract these changes, like being more selective about what you publish, paying attention to when you publish, and putting money behind your posts (a.k.a. “boosting” them). Download our free Facebook guide here for more tips on maximizing your Facebook reach. Before we dive deeper into how you can improve your Facebook Page’s organic reach, let’s explore exactly what happened during the Great Organic Reach Decline of 2014, and how Facebook decides what content gets surfaced nowadays. Facebook defines organic reachas “how many people you can reach for free on Facebook by posting to your Page.” Prior to 2012, that number used to be much, much higher than it is now. From the moment “Fan Pages” launched in 2007, anyone could create a Page for their company or organization, start collecting fans, and post unlimited messages to their fan bases with the assumption that they would see those messages. But when 2012 rolled around, Page managers learned that only a fraction of their Facebook fans — 16% on average — were seeing their Page posts in their News Feeds. And that fraction has only gotten smaller and smaller since. Based on the figures above, that means a Page with 10,000 fans could expect just 650 of them to actually see that Page’s posts in their News Feeds. For a Page with 1 million fans, about 20,000 would end up seeing posts (based on the 2% figure). Fewer people seeing your Page’s organic posts on Facebook means fewer clicks, comments, and shares. And having fewer of those interactions means fewer conversions, leads, and customers. Understandably, this has annoyed the crap out of many a Facebook Page manager. So why would Facebook decide to decrease organic post visibility in the first place? We already touched on Facebook’s official response to this question in the introduction: There are simply too many Pages producing too much content for too many fans, which means competition for visibility on the News Feed is high. What’s more, Facebook is trying to make sure people are only seeing the best content — the stuff that is relevant to them. Some publishers have cracked the code when it comes to engagement on Facebook: by publishing and broadcasting video. (And we’ll get into that later in the post.) But many in the marketing world suspect that Facebook had (and still has) an ulterior motive: to get people to start spending more on ads. Additionally, Facebook advises marketers to expect things to keep changing, and often times for the better. Facebook has never been stagnant in terms of innovation, so no marketer can figure out a formula and then stick with it forever. Now that you’ve got a better understanding of how Facebook surfaces content, let’s explore some tips for dealing with the decline in organic Page reach. Marketers have to switch gears from untargeted, frequent publishing to targeted, selective publishing. The goal is no longer to spray and pray — it’s to get as much interaction from a single post as possible. Each post published to a brand Page can be targeted to a specific audience regardless of whether or not it’s sponsored, which may improve overall interaction with that post among other people who are likely to find it more interesting and relevant. 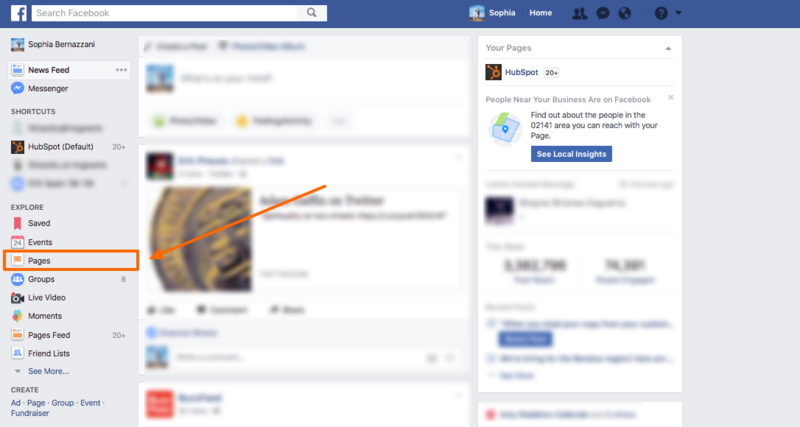 2) Remind your Fans they can go to Pages Feed on the left sidebar of their News Feed to see content from Pages they’ve Liked. 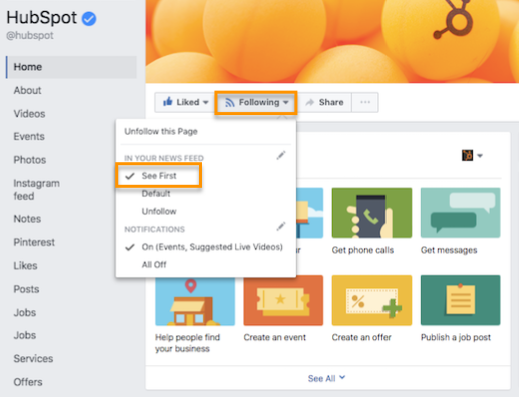 This can be as simple as adding a reminder to “Please Like and share” at the end of your posts. According to a recent study by quintly, native Facebook videos have an 186% higher engagement rate and are shared more than 1000% more than videos linked to from other hosting sites. Take the extra steps to publish videos for the platforms you’re promoting them on for best results — distribute your content on Facebook, YouTube, and other social platforms you’re trying to leverage. If you’re not already doing so, start broadcasting on Facebook Live. Users spend 3X more time watching live broadcasts than traditional videos on the platform, so start experimenting with live content if you’re concerned about your organic reach. Advertise what you’re doing on different platforms to generate buzz, broadcast for several minutes (at least) to help your broadcast get surfaced in the News Feed, and share authentic, behind-the-scenes content to attract and interest your viewers. To learn more about how you can improve your Facebook Page’s reach, check out our free guide: How to Attract Customers with Facebook. What are your thoughts and experiences with Facebook’s organic reach decline? How have you adjusted your inbound marketing strategy accordingly? Editor’s Note: This post was originally published in June 2014 and has been updated and for freshness, accuracy, and comprehensiveness.